Drum Corps International has been a longtime supporter of the U.S. Army All-American Marching Band, a talented group of high school seniors who came together this past week with just days to perfect a show that they performed at the Army All-American Bowl in San Antonio. Take a look back at these incredible marching musicians’ halftime performance at the Alamodome in this video. Produced by All American Games, the annual U.S. Army All-American Bowl features the nation’s top high school senior football players and marching musicians. 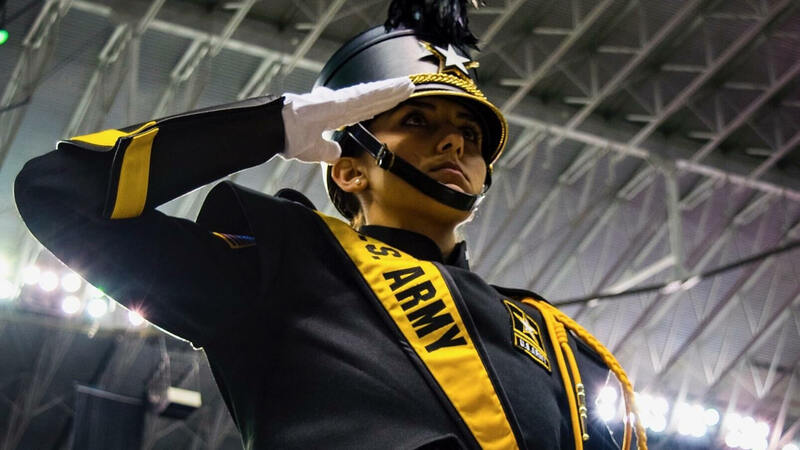 A student selected as one of the 125 U.S. Army All-American Marching Band members will receive an all-expenses-paid trip to San Antonio to take part in the halftime performance at the Alamodome. Learn about the nomination and the audition/selection process at NAfME.org.